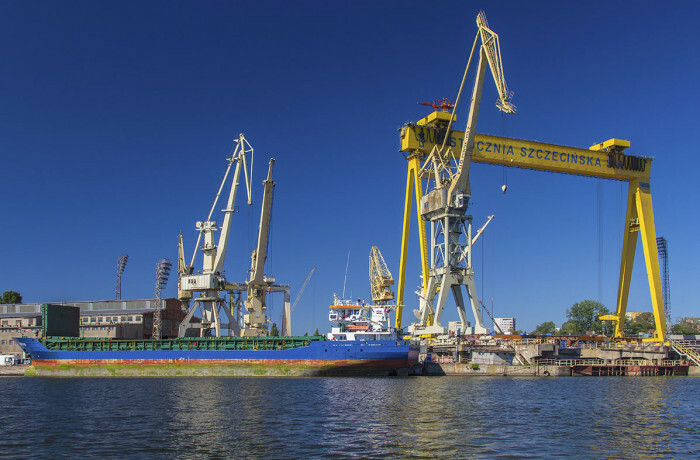 Remontowa Shipbuilding has begun construction of the first tug in a series of six on order from Ministry of Dedence. The vessel, newbuilding no. 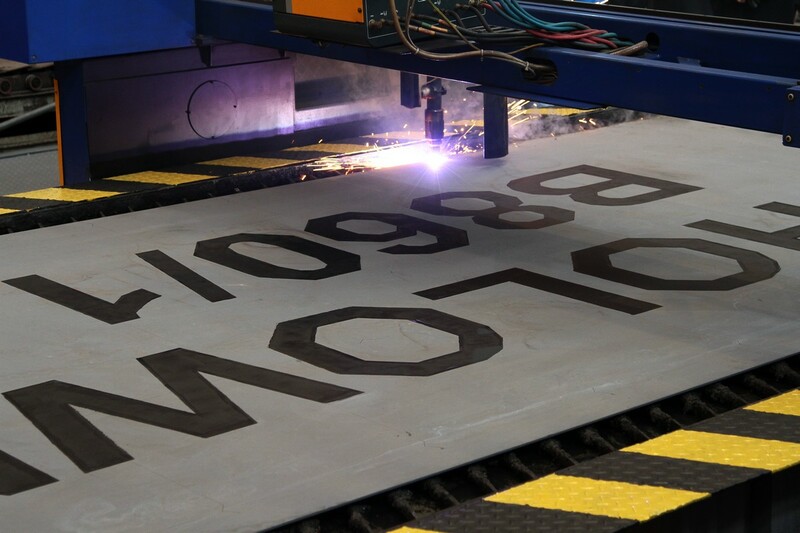 B860/1, has been designed by NED-Project, while the workshop documentation has been developed by Remontowa Marine Design & Consulting. 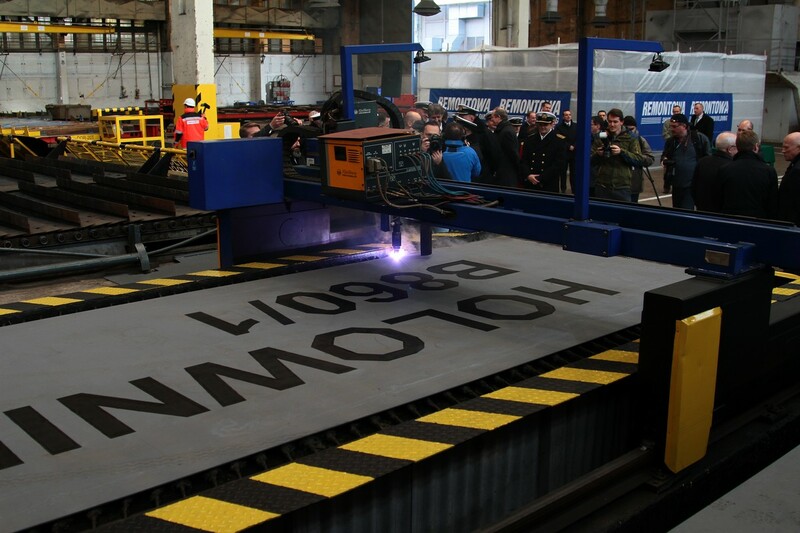 On Thursday, November 16, 2017, a ceremony of first steel cutting for the said newbuilding took place at Remontowa Shipbuilding SA, memer of Remontowa Holding Capital Group. 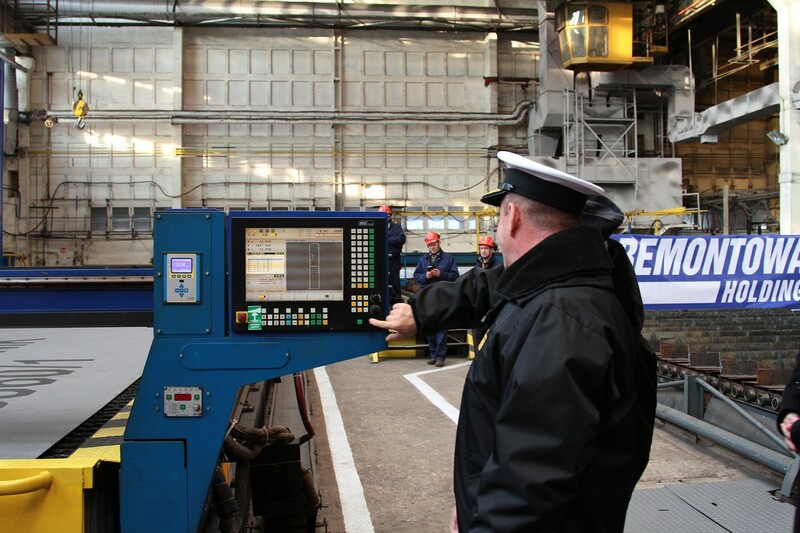 It is a groundbreaking project for the Polish Navy, with the plate cutting being another milestone for the execution of the agreement, which the Armament Inspectorate of MoD signed in June with Stocznia Remontowa Shipbuilding as a result of tender allotment “Zabezpieczenie techniczne i prowadzenie działań ratowniczych na morzu pk. Holownik” (Technical support and rescue operations at sea, code name “Tug”). 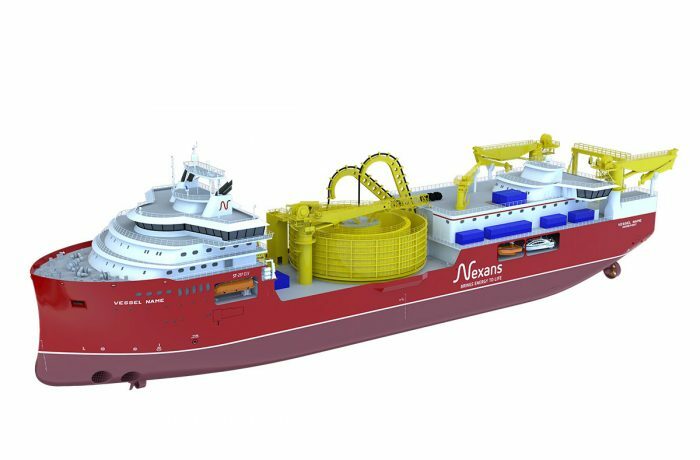 The first tug is scheduled for delivery in 2019, with the remaining units to be delivered by the end of 2020. The importance of the project was reflected by the composition of the military delegation attending the ceremony, including: deputy chief of Armament Inspectorate for aviation and marine technology, colonel Waldemar Bogusławski, chief of staff for the Squadron of support ships, commander Albert Figat, chief of Training for the 8th flotilla of coastal defence, commander Jarosław Kukliński, commander Mirosław Jurkowlaniec, commander Krzysztof Olejniczak, commander Bogdan Liput and commander Robert Lisowski. 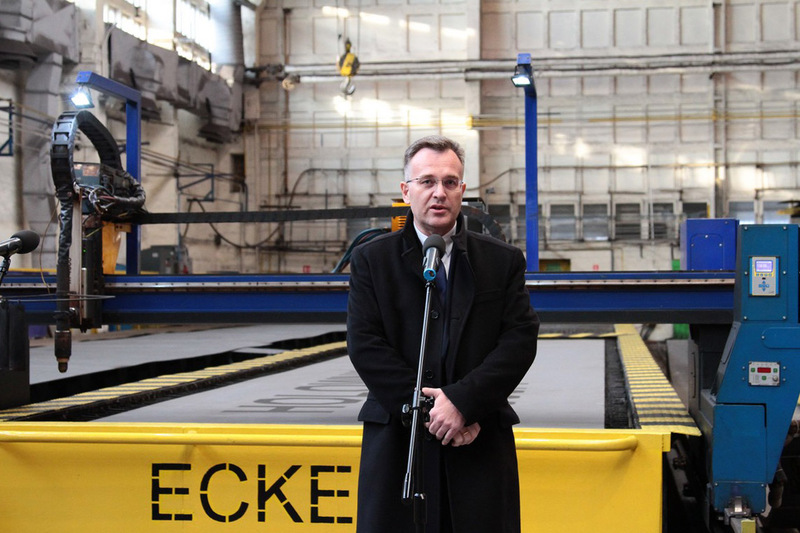 NED-Project was represented by: Zbigniew Szyca, CEO, professor Andrzej Lerch – naval architect, Jerzy Pietrzak – board member, Krzysztof Krakowski – project manager, while Remontowa Shipbuilding SA was represented, among others, by CEO Piotr Dowżenko. 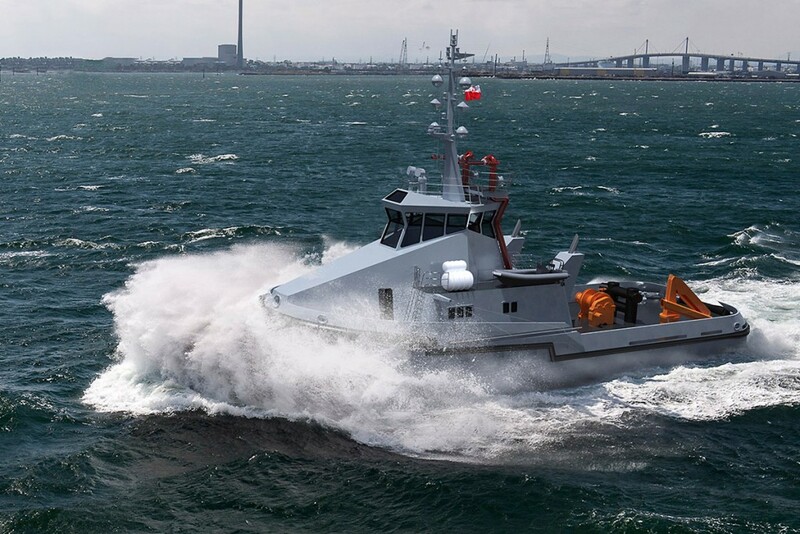 “…It is worth emphasizing that the building of new vessels for the Armed Forces poses a challenge both for us and the shipyard, a challenge that needs to be overcome for the future success of the economy and the Armed Forces” – Krzysztof Stępniewski Arms Inspectorate MoD said. The design of the B860 type tug is a result of design office’s proficiency in designing specialized units. The author of the concept is professor Andrzej Lerch, who has passed on his expertise to designers like Patryk Sójkowski or Krzysztof Krakowski. The multi-role tugs will be used for military and logistics operations support at sea and in ports, technical evacuation operations, search and rescue operations support as well as oil spills recovery. The ice class will enable operation of the tugs in tough winter conditions. The vessels will feature bollard pull up to 35 T and excellent maneuverability due to outfitting with twin azimuthing stern drives. 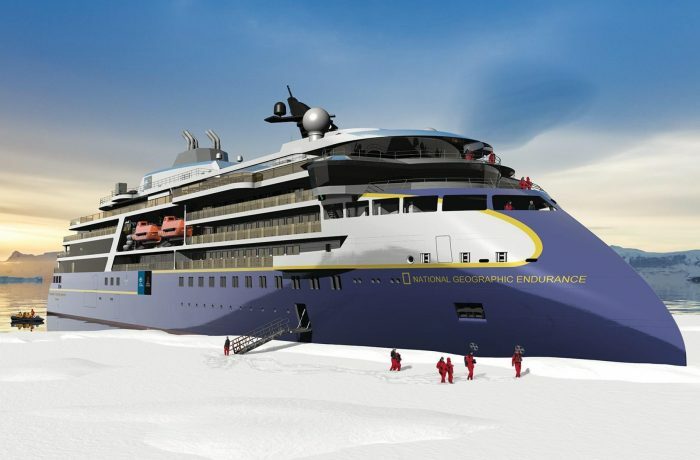 The open deck will enable carrying of cargoes up to 4 t.